Portland-area Nissan dealers apparently sell more of the all-electric LEAF model than anything else. This story hits close to home for us here at Digital Trends for two reasons: firstly, we’re big proponents of electric cars (and motorcycles), not only for their tech-savvy ways but also for their eco-friendly attributes. Secondly – and perhaps most importantly – we are headquartered here in Portland. We needn’t do more than turn our heads to look outside to see a veritable sea of EVs and hybrids stream past our windows. High-end ebike maker Brammo is also headquartered down the road in Ashland, Oregon. All along Interstate 5 in Oregon, the West Coast Electric Highway is quickly taking shape, which could also possibly be why EVs are so hot here. Presently, Oregon has 27 fast charging stations, open to EV owners, according to a Sustainable Business Oregon report. Three more of these stations will go online in a few weeks with 13 additional over the next year. The ultimate goal is this: for electric car drivers to be able to travel from the Canadian border through Washington, Oregon and California, all the way to the Mexico border along I-5 without fear of running out of charge. 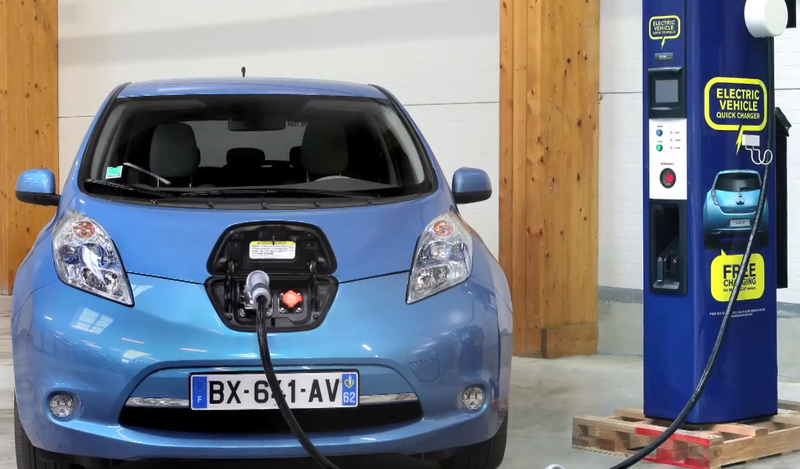 This will be accomplished by having a quick-charge station along the corridor ever 25-30 miles. This should be more than enough assurance for the average 70-mile EV charge. Why else might LEAF sales be so hot in Portland? Nissan recently began LEAF production here in the States and began offering a new entry-level ‘S’ model. We’re proud of our city and state in their forward thinking about EVs. We just wish we could get the owners of our building to install some of those quick chargers so that we could juice up on somebody else’s dime while at work.